A bride-to-be as her wedding day approaches… a young child the night before Christmas… a family as it heads off towards a long-awaited vacation destination (Can anyone hear, “Are we there yet?”)… a teacher during the last week of May – as the end of the year nudges closer… a groom as his wedding night draws near – there is no doubt that delayed gratification buoyed by a humongous helping of perseverance tends to make long anticipated events taste even sweeter. Such was to be the case for Howard Carter (archeologist – backed by financier George Herbert) as he entered the newly discovered tomb in late November of 1922 to find drawings related to the funeral of King Tutankhamun painted on the walls. After more than a decade of searching – failure built upon failure, could this be it? 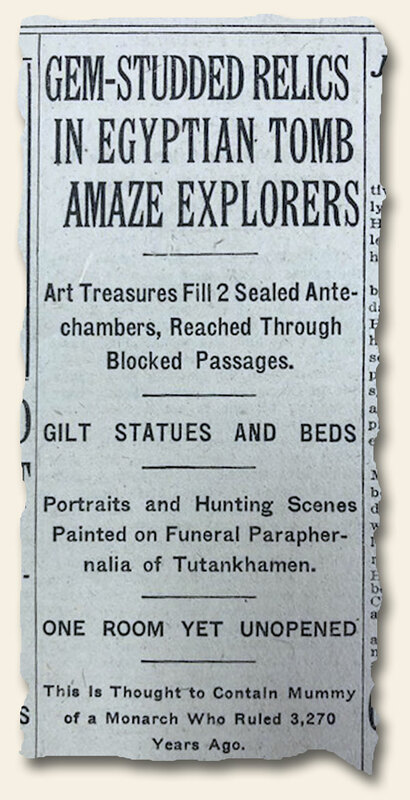 While newspapers would not report the opening of the inner tomb until February the following year, the front page of The New York Times from December 1, 1922 had the announcement of Carter’s initial find – with mention of the King Tut related drawings. One can only imagine the escalation in excitement this created – and the building of anticipation which occurred over the next few months. Unlike the opening of Al Capone’s vaults in 1986, this find would not disappoint! It’s interesting to find articles reporting the very beginning of some of the more commonplace items in present-day life, but which were given little consequence at the time. 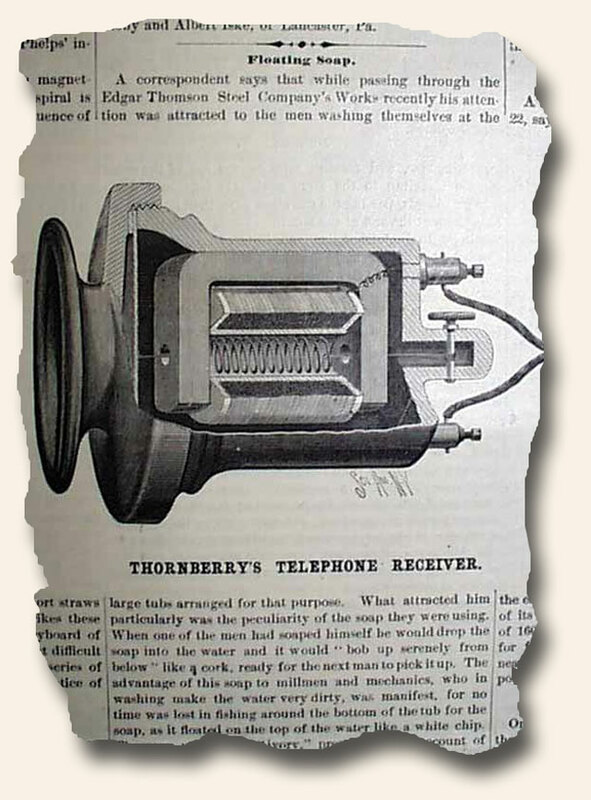 A good example is a rather inconspicuous article in an April 1, 1882 issue of “Scientific American“. Ivory soap remains today–some 133 years later–a very common product on store shelves around the world. And it still floats. The History Channel has sparked much interest in events of the past which otherwise have gone unnoticed through the years. Whether it’s a biography of notable name, a little-known yet significant war battle, or a political event which had notable consequences years later, it’s not uncommon for us to receive calls from hopeful collectors wanting a period account of the event. Many times we are successful in the search, other times not. Occasionally present-day events noting an anniversary or discovery spark similar interest. We have noticed a significant interest in Abraham Lincoln material with the approach of the 200th anniversary of his birth. And the very recent discovery of the British ship “H.M.S. Victory” got even us intrigued about the possibility of finding a 1744 newspaper or magazine reporting its loss. As luck would have it we were successful. Keeping in mind that there were no survivors, details were obviously sketchy back then, but both the October and November issues of the “Gentleman’s Magazine” reflected upon the disaster. All of us, as collectors, literary keep history on our shelves. Who knows when the next discovery might relate to an innocuous report in one of your newspapers. Have you discovered in one of your issues an item brought to light by present-day events? Such finds are always fascinating–it’s part of the intrigue of the hobby.